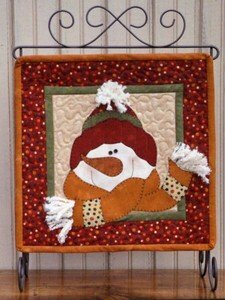 The pattern includes full size appliqué patterns to make this charming snowman and instructions to add yarn embellishments. The kit includes the pattern and all fabric required for the quilt top and binding. An additional fat quarter is necessary for backing. View Large Image Who, Me? 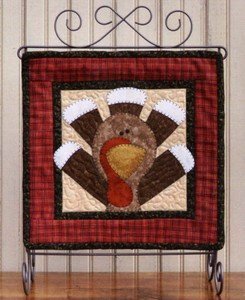 The pattern includes full size appliqué patterns to make this adorable Turkey for Thanksgiving.